Your backpacking trip runs longer than planned, a bear went through all your things, or you just plain didn’t bring enough. What do you do when you run out of food while backpacking? Bushes, weeds, roots, and trees can offer many options for food whether you need it for survival, or if you don’t want to pack as much in. Throughout the world, you can find edible plants that are safe to eat. Here we will give you some safety tips, overall edible items, and specific plants that might be native to the region you’ll be hiking in. Always practice caution while harvesting and eating plants you find along the trail. Many careless people have been poisoned from not correctly identifying the plant, or partaking of it to fast. It is a good rule to eat only a tiny portion of the wild plant at first and waiting 30 minutes to an hour to digest. If no nausea or sickness has occurred, it can be assumed safe to eat. For the more in-depth Universal Edibility Test, see below. Wild Backpacker is in no way responsible for sickness or death, as readers take on this risk themselves. The location of the plant is also an important factor. Plants near roadways are often coated with pollution, while plants near farms could be infected with chemicals. Beware of plants near waterways, as microscopic parasites could have been washed onto them. You should always take the necessary precautions before eating the plant, by at minimum rinsing it in clean water, and even boiling it to kill any possible bacteria. Most importantly, if the plant smells of almonds, do not eat it! They are almost always poisonous in the wild, as it is a sign of cyanide. It is never a good thing to eat plants you can not identify, but hungry hikers who want to be on the safe side can use the Universal Edibility Test to see if an unknown plant is safe to consume. Begin by fasting for at least 8 hours. During this period, place part of the plant against your skin to see if there is a reaction. To start the test, take a pinch of the plant and touch it to your lips. If no burning or itching develops after 3 minutes, place the plant on your tongue for 15 minutes and then chew it for 15 minutes without swallowing. If no irritation occurs during this period, swallow the plant. Wait 8 hours, immediately inducing vomiting if any ill effects develop. If everything is fine, consume a quarter-cup of the plant and then wait another 8 hours. 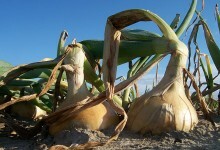 If there are no ill effects by this point, consider the plant safe to eat. Plants with edible fruit grow just about everywhere in North America and other temperate zones. Harvesting the wild blackberry has become so popular because of its widespread availability, it has become a summer tradition. Blueberries grow wild in cooler, highland climates while mulberry trees bear fruit that looks a good deal like blackberries, and although uncommon, the persimmon tree also grows wild and bears edible fruits. There are also the elderberry and the gooseberry, although they should be harvested with caution as it is the easiest to confuse with poisonous berries. Many edible fruits and berries grow near the ground on both low bush and ground creeper forms. 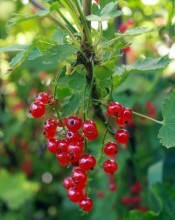 Summer is best time of year to harvest, though some berries fruit in spring and others in fall. Many even hold on till winter, with some, such as Hawthorn’s mini-apples, improving in sweetness and flavor after frost. In the desert, you can harvest the flesh of the various cactus and the agave species for food and water, although you should take great care to avoid their spines. The flowers of the day lily and the roots of the water lily also are edible. Cattail shoots are edible just like watercress, which grows wild in many temperate waterways. Milky sap should be avoided as it generally indicated a poisonous plant, but in the case of the Prickly leaf lettuce, it is safe to eat. Also, it is known that nettles have been collected and used in making soup for centuries. Plenty of wild, nut-bearing trees grow in temperate and other zones. The acorns from the plethora of oak species are edible, as are hickory tree nuts and walnuts. In desert climes, the acacia tree produces edible seeds. 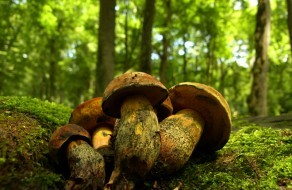 Partaking of mushrooms is one edible plant that shouldn’t be taken lightly, as it can cause serious illness or death. The best bets for making solid identifications of safe mushrooms are in the morel family and Caesar’s Mushroom. The three types of safe morels in North America are the half free morel, the yellow morel and the black morel. Caesar’s Mushroom is safe but illustrates the dangers of mushroom collecting. It has a very poisonous close cousin that you can identify by its white speckles, but these speckles can wash off in a heavy rainstorm. With a little bit of rinsing and possibly even boiling, onion grass, wild onion, wild carrots and wild garlic are easy to find throughout temperate zones. The best plant of this type is the wood sorrel, which has a tuber that is basically a mini-potato. Another good tuber is the Indian cucumber, with its little white, crisp root core. Below are lists of wild, edible plants divided into their climate zone. For a detailed description and pictures for each plant, see the page at Wilderness Survival.